Hubby likes bananas. As in if we don’t have any, he goes a little bananas. Other than meat, they are the one thing he thinks he must have on a daily basis. 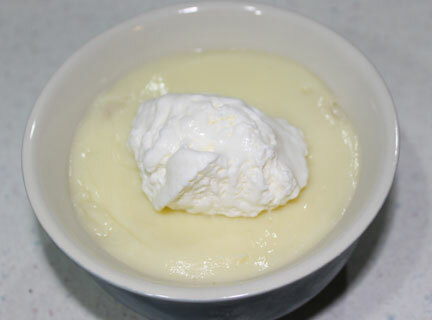 The other day, I was feeling particulary generous and offered to make him banana pudding. After his comment that he didn’t think we had any instant in the pantry, I was less inclined, but forged ahead anyway. 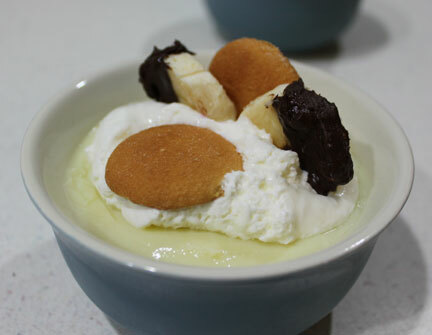 I’m glad I did because the pudding was really good – smooth and creamy with just the right amount of banana flavoring. The recipe is easy, so make it and enjoy! The ingredients - all simple and good. Blend dry ingredients in a heavy-duty saucepan. If you don't have a heavy pan, cook this via the double boiler method. It will take longer, but you won't run the risk of scorching your pudding. So, I forgot to take a photo of the milk being added to the dry ingredients and then cooking until it starts to thicken. 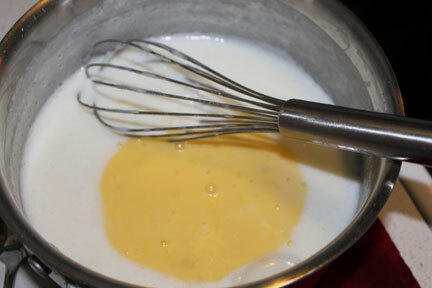 Once that happens, add about 1 cup of the milk mixture, stirring in just a bit at a time, to your beaten eggs. 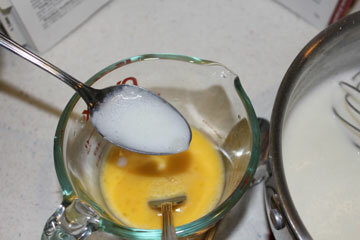 Pour egg mixture back into the pan and stir continuously. When it has thickened, add in the banana flavoring and remove from heat. 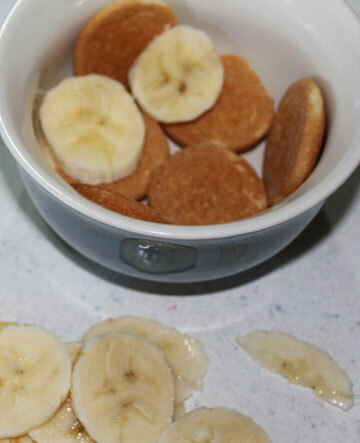 Slice a banana and line dessert bowls with Nilla wafers and banana slices. Pour pudding on top. 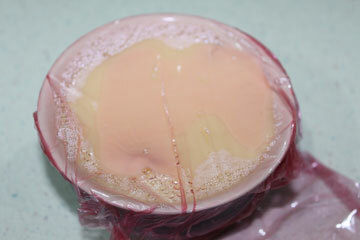 Cover tightly with plastic wrap, pressing it down on top of the pudding to keep a film from forming. (say that fast three times in a row!) Refrigerate for at least an hour. 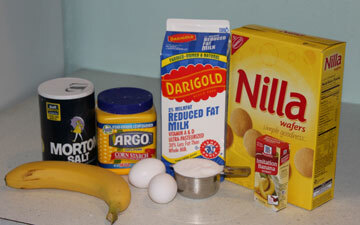 dip bananas in chocolate and add to pudding with a few more Nilla wafers. Slice banana. Line dessert cups or bowls with Nilla wafers and banana slices, set aside. Lightly beat eggs in a small bowl. Set aside. 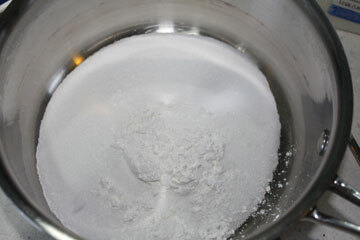 In 2-quart heavy saucepan, mix sugar, cornstarch and salt. Gradually stir in milk. 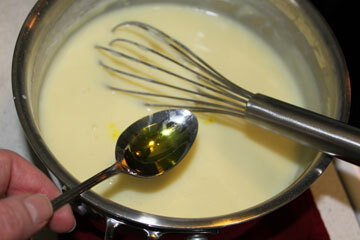 Cook over medium heat, stirring constantly, until mixture thickens and boils. Boil and stir 1 minute. Boil and stir 1 minute; remove from heat. Stir in flavoring. 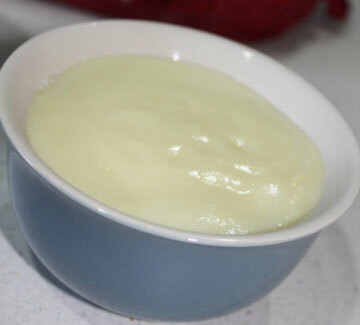 Pour pudding into dessert dishes. Cover and refrigerate about 1 hour or until chilled. Store covered in refrigerator. When ready to serve, garnish with whipped cream, banana slices (dipped in chocolate if you want some added deliciousness) and a few Nilla wafers. I just want to say I am newbie to blogs and actually enjoyed you’re blog site. More than likely I’m likely to bookmark your blog . You definitely have great posts. Bless you for sharing with us your web page.